When you take a leap in your professional life, it can be an equally daunting and exhilarating experience. Change is often uncomfortable, but by no means should it be unwelcome. As Stephen Richards has said, “To get something different, you must do something different.” Allow us to give you a better idea of what such a change might entail. Visualizing a new place isn’t always easy, so we would like to take you on a brief, virtual tour of our EMT program. Students first arrive at our sunny Fremont Campus. Located in Northern California, the campus can be found in the heart of the San Francisco Bay Area. Thanks to oceanic weather, mountainous views, and an abundance of trees, Fremont has become a hotspot for all kinds of outdoor activities. It is also one of the largest suburbs in the Bay Area, and it’s scarcely an hour’s drive from high-tech Silicon Valley. Now that you have an idea of the surrounding area, let’s delve right into the Fremont Campus. Picture yourself walking toward two buildings that seem to grow bigger as you approach them. Mountains crest the horizon and catch your eye as you head toward the second building. Once you step through a set of double doors, you find yourself standing in a circular glass dome. This dome houses an unusual, impressive lobby, one that features several stylish touches, such as interior marble and an expansive skylight. You might pause to enjoy the indoor sunlight, or the warm, welcoming atmosphere. You feel your pulse quicken as you open the door and step into the room. A dozen reactions hit you at once, but the most prominent ones are probably excitement, curiosity, and nervousness. Any kind of leap can be nerve-racking, which is yet another reason for group learning at Unitek EMT. Our program focuses on the tenets of teamwork, adaptability, and preparation. Above all else, Unitek instructors strive to support their students. The physical portion of the program first begins in room #140. The room itself is spacious and lined with rows of desks. On the far side of the room, you’ll see stretchers filled with medical equipment. Students will have the opportunity to work with CPR devices, firefighter turnout gear, and stocked EMS bags. Medical mannequins are utilized as well, including adult, pediatric, and airway models. Because the latter has silicone lungs, students are able to watch the lungs expand as they practice. Overall, the EMT program can be viewed as about 50% hands on and 50% conceptual learning. At Unitek’s EMT school, each class is split into different squads. These groups work on varying assignments, participate in workshops, handle equipment, etc. They also create group projects as well as presentations. Not only do such methods impart critical knowledge, but they facilitate teamwork learning and foster working relationships. In the afternoons, students are sent to different instructors, all of which are located throughout the campus. The students are then rotated every hour on the dot. These ever-changing environments mimic actual EMT settings, as they force students to adapt and think on their feet. Our 14-Day Boot Camp1 contains an event called Trauma Lanes. This training simulation takes place on Saturdays and involves real-world scenarios. 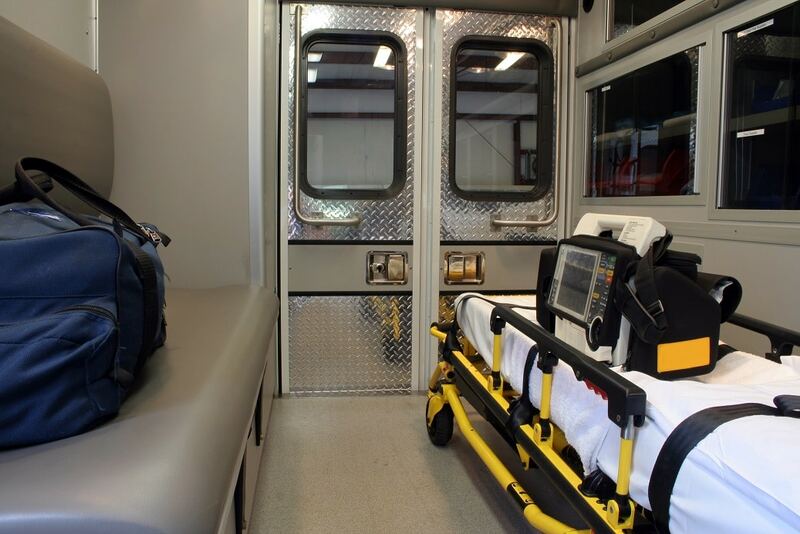 In the process, EMT students actively use a gurney, an ambulance, and other medical equipment. 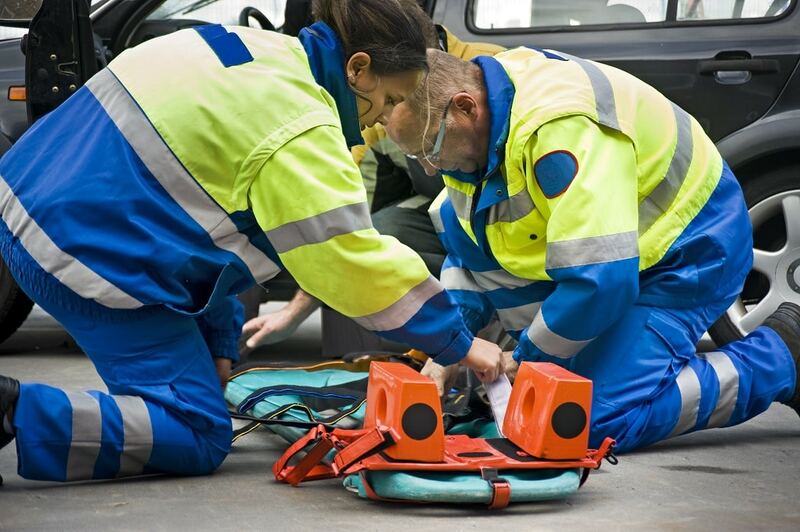 Trauma Lanes further pushes our students to think quickly in high stress, high-stakes situations, ones they will most assuredly face in the field as Emergency Medical Technicians. Additionally, the last portion of the Boot Camp includes a clinical rotation. It’s worth noting that Unitek EMT contracts with almost every major ambulance service provider in the Northern California Bay Area. These connections allow our students to gain invaluable, real-world experience. They can also be vital networking opportunities. In the end, we want to give our students as much exposure as possible. When you’re ready, take that leap with Unitek EMT. 1 EMT Boot Camp is the portion of the EMT program that includes intensive on-campus education, daily lectures, and hands-on skills. The EMT program also includes a 50+ hour online portion of the program that must be completed prior to graduation.